What Eyebrow Shape is Best for You? The right eyebrow shape can transform the way you look. A nicely shaped brow can dramatically enhance the natural beauty of your face. Eyebrow shape is more important now than ever before. You see many women in NYC and other fashionable places with beautiful, full, well-shaped brows. Do you want to know how you can get this trendy look? The right shape for your brows depends on the shape of your face. 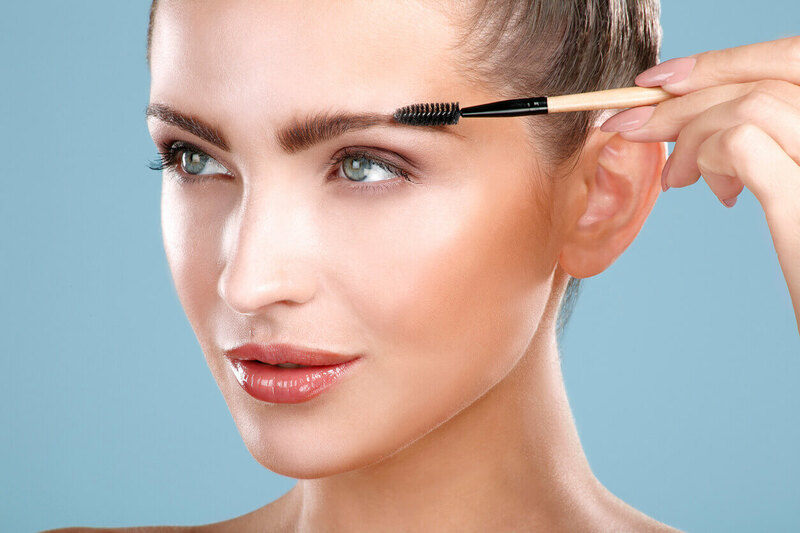 It’s important to create a brow shape that will flatter your particular face. If you have a long face, don’t make the brow arch too high because that can make your face look longer. Do extend the outer ends of your brows to create a longer horizontal line to balance out the vertical shape of your face. If you have a round face, a high arch will make your face appear more shapely. Moving the arches outwards can also enhance a round face. If you have a square face, a gently rounded brow will soften your look. If you have a heart-shaped or oval face, you should emphasize the face shape you have by following your natural brow line. Don’t place the arch right in the center of your brow. It should be further towards the outside. Don’t create a brow shape that is wrong for your face, even if it looks good on someone else. Don’t try to make a major change in your brow shape by yourself. Get help from a professional. New York City women love microblading, the easy way to create a beautiful natural-looking brow shape that can last from one to three years. When they want the best microblading in New York, they go to the Metropolitan Vein and Aesthetic Center, where the trained technicians love to help women create the brows they have always wanted. We invite you to come in for an appointment and find out more about the best brow shape for you. Call us at 914-295-2202 to set up a free consultation at our convenient Manhattan, Yonkers, or Queensoffices. What Are The Unique Differences Between Liposculpture And Liposuction? What Causes the Unwanted Spider Veins on My Face? Do You Have Nighttime Varicose Vein Pain? Try These Solutions! What’s Causing My Veins to be so Painful? Can SculpSure Get Rid of My Double Chin?